Portman-CMC recently wrote about their plans for changing up the Miami Beach parks to give a better experience for all residents. Miami being known for its year round great weather opens up a wealth of possibilities. 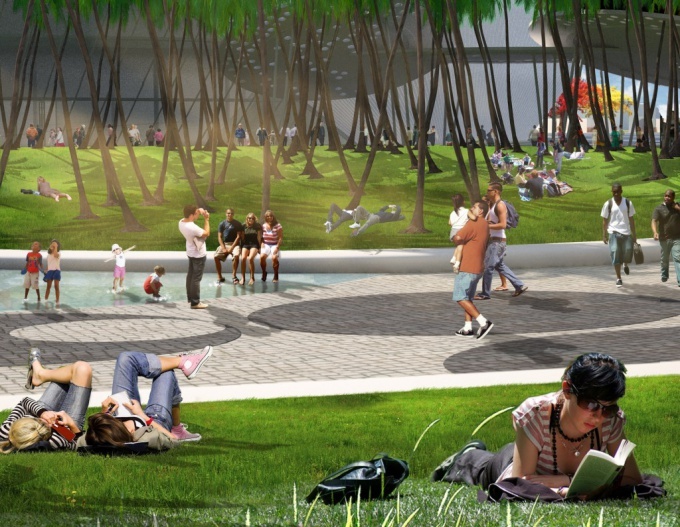 Portman-CMC wants to bring life to one of Miami Beach’s most underutilized public sites. This entry was posted in News and tagged Miami Beach, Parks, Portman-CMC, Ugo Colombo on May 28, 2013 by Ugo Colombo. Jennifer LeClaire recently wrote an article about South Beach ACE and Portman-CMC plans for “minimizing traffic congestion and encouraging pedestrian flow”. Ambrish Baisiwala CEO of Portman Holdings, responded to GlobeSt.com mentioning their research into traffic congestion in urban areas and the technologies in the plans to minimize impact on travelers. This entry was posted in News and tagged Jennifer LeClaire, Miami Beach, Portman-CMC, South Beach ACE, Ugo Colombo on May 28, 2013 by Ugo Colombo. Biz Journals posted an article about various proposals for the Miami Beach Convention Center. Portman-CMC gave a $1.15 billion proposal while South Beach ACE submitted a $1.2 billion proposal. Both of them included commercial development which will be on city-owned land. They will be responsible for other private components such as a hotel and retail locations. Each company will continue to revise their plan to give people a better understanding of their goal. Read more about the Miami Beach Convention Center on Biz Journals. This entry was posted in News and tagged Biz Journals, CMC, Miami Beach Convention Center, Portman, Ugo Colombo on May 22, 2013 by Ugo Colombo. CPExecutive recently wrote an article on a new cost effective master plan for the Miami Beach Convention Center. Portman-CMC mentioned the city staff and officials for their cooperation in regards to financing, management and land leases. Portman-CMC’s main approach to the Miami Beach Convention Center is to focus on lower heights for buildings, offer easy connectivity to the areas surround the center, provide an exceptional urban environment, and to make sure that there is an economic benefit. You can read more about the Portman-CMC Reveals Cost-Effective Master Plan on CPExecutive. This entry was posted in News and tagged CMC, CPExecutive, Miami Beach, Portman, Ugo Colombo on May 20, 2013 by Ugo Colombo. Read the full article about Ugo Colombo and his view on Aspen at Ocean Drive. This entry was posted in News and tagged article, Aspen, Ocean Drive, Sara Colombo, Ugo Colombo on May 15, 2013 by Ugo Colombo. For the full feature on Sara and Ugo Colombo, and the rest of the Haute 100 List, check out Haute Living. This entry was posted in News and tagged Haute Living, Luxury, Miami Beach, Ugo Colombo on May 13, 2013 by Ugo Colombo. Ugo Colombo and the other members of the Portman CMC team have recently modified their original proposal for the Miami Convention Center to incorporate feedback from the Miami Beach community. “The residents made it clear that the Jackie Gleason Theater is an important landmark they want to keep. We listened, we heard, and we’ve found a way to adjust the master plan in order to keep the theater in place while still achieving our other objectives,” said Jack Portman, of Portman Holdings. The team is planning to restore the Jackie Gleason Theatre and integrate it with their plans to turn the Convention Center into a superior urban environment. They aim to provide residents with public outdoor spaces while maximizing its economic benefit to the Miami Beach Community. For the Full article on Ugo Colombo and Portman CMC, check out BizJournals. This entry was posted in News and tagged Biz Journals, Miami Beach, Miami Beach Convenction Center, Portman-CMC, Proposal, Ugo Colombo on May 6, 2013 by Ugo Colombo.